Ever wonder where the coffee you had this morning came from? The Bean Belt is comprised of the major coffee growing regions of the World tucked between the Tropics of Cancer and Capricorn. From Africa where it originated, the cultivation of coffee has expanded to the East and to the West to form what is known as The Bean Belt. While Brazil dominates the market in quantity (nearly 3 million metric tons), coffee growing regions cover the subtropical and equatorial territories around the globe. In fact, coffee cultivation was reintroduced in the mid 1980s in Vietnam, the country is now the second largest exporter of coffee. In North America, Mexico is the 9th exporter of coffee in the world. Production is mainly concentrated in the south central to southern regions of the country and grows particularly well in the coastal region of Soconusco, Chiapas, near the border of Guatemala. In Central and South America, coffee growing regions like Guatemala and Colombia have the rugged landscapes and rich volcanic soil favorable to growing coffee. Colombia’s coffee, famous for the quality and flavor of its beans, is the 3rd largest exporter of coffee in the world behind Vietnam. But the world’s largest supplier of coffee is Brazil – with plantations covering around 10,000 square miles, mostly located in the southeastern states – a title the country has held for the last 150 years. The map would be incomplete without mentioning Peru, Honduras and Costa Rica. While the volume doesn’t even represent 4% of the production from Brazil, Costa Rica has earned a reputation for some of the best coffee in Central America. The majority of coffee production takes place on small farms, or fincas. Legend has it that Ethiopia is the mother land of the coffee plant. A Goatherder named Kaldi noticed a rush of energy in his flock after they nibbled on red berries. Intrigued, he tasted some himself and was quickly convinced he had found a valuable source of energy. Ethiopia is Africa’s first coffee growing region (and first consumer as well). The production reaches up to 860 million pounds, still mostly cultivated and dried by hand and falls under the strict watch of The Coffee and Tea Authority, determined to avoid market concentration. Interestingly, Ethiopia’s neighboring country, Kenya, was introduced to coffee-growing by the French Holy Ghost fathers, at the turn of the 19th century. 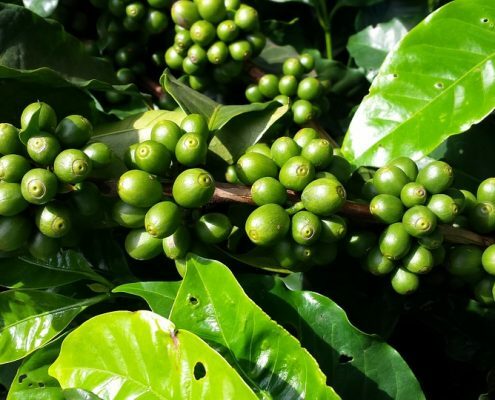 While Kenyan production may be considered confidential, with only 51,000 tons per year, it is a major actor of the coffee scene and is much sought-after worldwide. Continuing our travels along the Bean Belt, let’s visit Asia and its two major coffee growing regions: Vietnam and Indonesia. Vietnam was on the coffee cultivation map in the 19th century and had established its plantation system as an economic force. The Vietnam war interrupted the production which eventually resumed, though fairly low. In the mid 1980s, the permission to privately own coffee farms again gave a boost to the industry. Ever since, Vietnam production has been growing steadily, up to 3 billion pounds in 2014, right behind Brazil. But the mention of coffee naturally evokes exotic names like Java and Sumatra, Indonesian Islands famous for the quality of their coffee. The production of coffee in Java started in the 17th century, initiated by the Dutch who began to export it to the rest of the world. The success was such that to this day, we all know and use the term a cup of java. Indonesia coffee production amounts to roughly 6% of global exports, but provides the world with uncomparable “aged coffee”. Much like wine and cheese improve with age, coffee beans held for a while in the warm and damp climate bear a distinctive deep body and less acidic flavor. Many countries produce coffee, even the United States (mainly on the Big Island, in Kona). 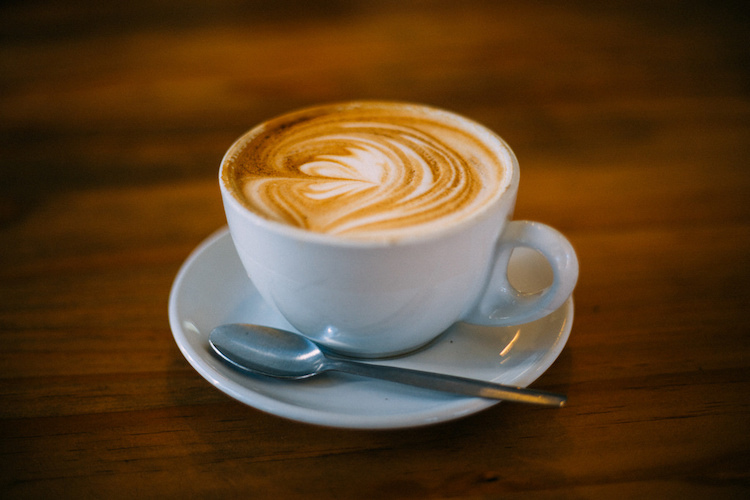 More than half american adults drink coffee everyday. However, according to this article in The Atlantic, the U.S. doesn’t even make it in the top ten countries for consumption. The Netherlands tops that list at 2.4 cups a day. From major coffee growing regions like Brazil, Vietnam or Colombia, to smaller producers like Peru or Kenya, we are fortunate to enjoy a broad spectrum of flavors from coffee around the world. 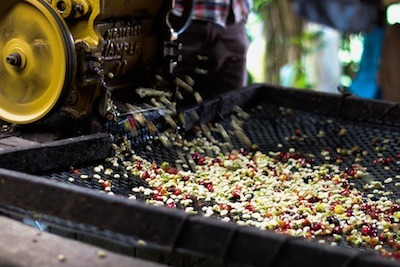 Coffee Processing 101 From Cherry to Your Morning Cup Flat White vs Cappuccino Do You Know the Difference?